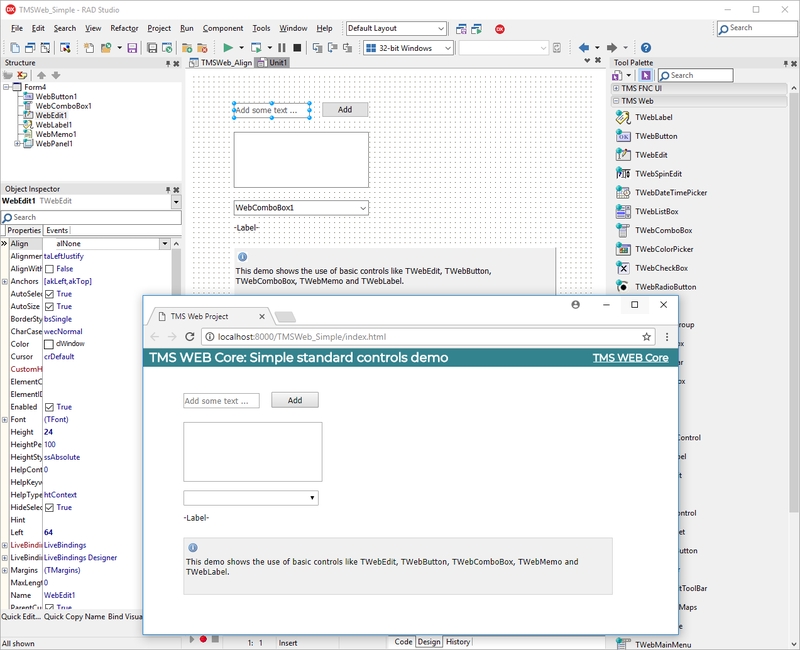 A truly revolutionary & innovative TMS FNC component framework that is now also web enabled, allowing to create UI controls that can be used on VCL, FMX, LCL and WEB! 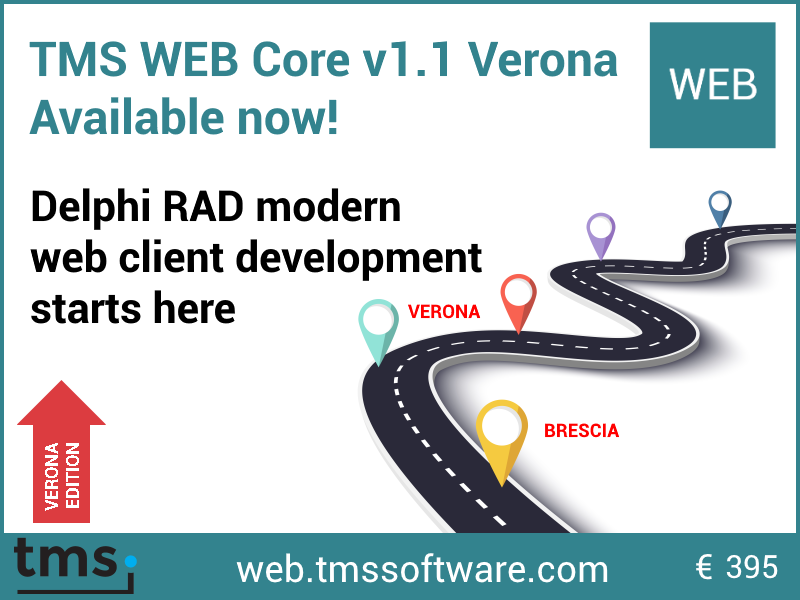 TMS WEB Core is available for all active registered users of TMS ALL-ACCESS. All-access 1 year subscription to the entire product range. The following products can be used in combination with TMS WEB Core. Request your trial key to activate the trial download.